Bean ildánach is ea í Zoë a chasann ceol traidisiúnta agus ceol clasaiceach ar an veidhlín. Thosnaigh sí ag seinm agus í ocht mbliana d’aois – déanach go maith i ndáiríre – ach níorbh fada gur aithin sise go raibh talann fé leith aici, ní hamháin do sheinnt ceoil ach don chumadóireacht chomh maith. Ó shin i leith tá an domhan feicthe aici, í ag seinm ar an stáitse ina haonar chomh maith le daoine eile mar Damien Rice, Lou Reed, Nick Cave, Rodrigo y Gabriella, agus lucht Riverdance. Na laethanta seo is lena fear céile John McIntyre a bhíonn sí i mbun ceoil, de réir an BBC is iad “simply one of the best folk duos on the planet”. 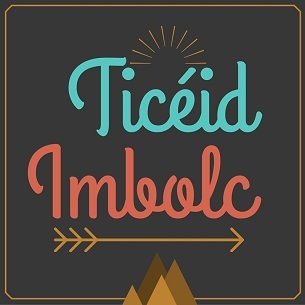 Tá ríméad orainn go bhfuil Zoë in ann a bheith linn i mBaile Bhúirne d’Imbolc 2019!